When you’re trying to get pregnant it seems like everyone else around you gets pregnant without hardly trying! Each announcement can feel like a gut punch. Today I’ll be talking about just that and I’ll be sharing some free resources with you to help on your fertility journey. I’m late, I’m late, I’m late, I’m late, I’m late for a very important date. So sorry, guys. Hi, hi, hi. So, I’m 13 minutes late to my 12 o’clock, noon Facebook Live and I’m sorry. A little hiccup came up and I had to fix, so anyway, such is life. You gotta roll with these things, right? So, hello, thank you so much to everyone who’s joining us on Facebook and on Instagram. I’m coming to you guys live at the same time. Move my cameras closer together so I don’t have to do the looks back and forth too much, okay. Hi. So, welcome, there’s so many new people rolling in all the time to both of these social outlets and I really appreciate you guys, so thank you so very much. Those of you who are fairly new to me, I’m Aimee Raupp, which you probably know ’cause you’re following me. I’m a women’s health and fertility “expert”. I don’t always love using that word, but I have a lot of passion around the subjects of women’s health, women’s fertility, autoimmune diseases, basically helping women heal and live their fullest lives, live their happiest life, live their healthiest life, live their most hope-enriched life. You deserve all of it and so do I and we’re on this path together, and as I learn, I like to share. I’ve written quite a few books, and again, as I learn, I like to share, that’s just how I am. So today I wanted to talk to you guys about a really important subject matter. A lot of you who follow me, who know of me, you read probably this book, Yes, You Can Get Pregnant, which is my best-selling book on women’s health and fertility. I’m very proud of this baby, and this, of course, is my most recent book, Body Belief. And then let’s see, then we have my babies, my original baby, here she is, Chill Out and Get Healthy. This one came out about 10 years ago. That’s freaking crazy. But anyway, because of this book, I deal with a lot of women trying to conceive. I became quite popular in the fertility world and I’m grateful for that, and I’m grateful for you guys. Today’s topic, as you guys can see on Facebook and you probably saw on Instagram as well is, “Why is it so easy for everyone else to get pregnant?” And it’s not a super positive subject line, to be honest. It doesn’t really … I always try to flip it around and say like, “How can I make it easier for me to get pregnant?” Right? I try to play with the words so that it sounds more positive, more forward looking rather than regretful or remorseful. 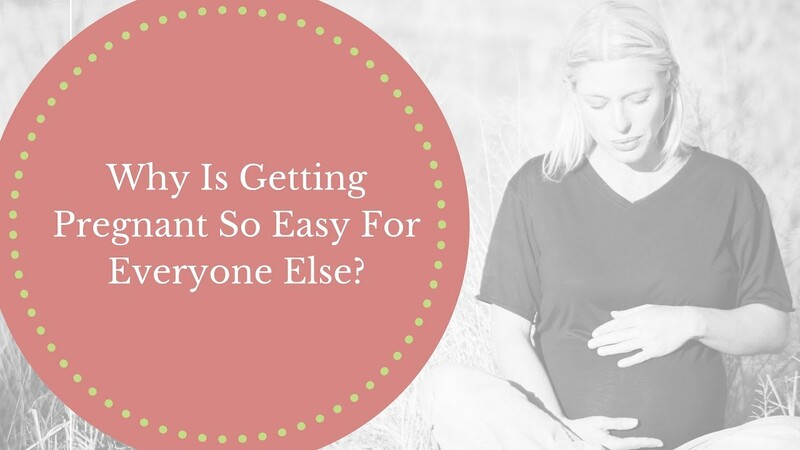 But I use this line, in particular, “Why is getting pregnant so easy for everyone else?” Because it’s what I hear, all the time from my girls. No matter where they are in the journey, whether they’ve been trying for three months or 10 years, I hear it all the time. I hear it all the time that it has inspired me to create a free video training on this subject. The free video training launches on the 27th, which is in a few days, and if you want to sign up to receive that free video training, you go to AimeeRaupp.com/why. And again, there’s three videos and one bonus that I’m releasing and that you’re gonna have access to and it’s gonna give you tips and tools and strategies on how to deal and unpack and work with and find peace and joy … Yes, you can have peace and joy on this path right now … And what to do with this feeling. So you don’t have to leave me right now, but at some point, head over to AimeeRaupp.com/why. Courtney’s gonna post it. She just did. Click that link, head over there, sign up for the free video series because what I’m gonna cover today is kind of just a peripheral. I do a deep dive in this training. It’s about a total of 60 minutes or so of content over the four video, and you know, I’m proud of it and I feel like it’s gonna help you, so check it out, please. In the meantime, let’s chat about this. What is it? Why is it so easy for everyone else? I think there’s a couple things to think about with this, is A, do you really know how easy it was for the other person? If you take me for instance, you might look at me and say, “Oh, it was so easy for Aimee. She got pregnant at the age of 40 only two months after trying.” Sure, that’s true, right? That’s very true, that is the truth. However, what wasn’t easy for Aimee was the 10 years prior while I was trying to find the right partner, healing from emotional traumas of breakups and things of that nature. That part wasn’t easy. While I was longing so desperately to become a mother and to start a family, that part wasn’t easy. It did look really easy for other women in my shoes, where I would say, “Oh, look, she’s found the guy. Why can’t I find the guy? What’s wrong with me?” Right? Maybe for some of you, I’m comparing apples to oranges when I’m comparing find your spouse to getting pregnant, but I’m not trying to say that. I’m just saying that you might look at me and say, “That was so easy for her,” but there were parts of the journey weren’t easy. I definitely had this feeling as well, like “Why is it so easy for everyone else? What’s wrong with me? Am I broken? Am I defective? Do I have like a huge stamp on my forehead that says like, ‘Definitely don’t marry this girl, something’s not right with her. Definitely stay away. '” I think none of you would say that, right, and I never looked at myself and felt that way, but it just wasn’t meshing, right? But I wanted nothing more than to have a family and to be married. I wanted that and I dated some awesome people. The opportunities came up but just never was the right … didn’t feel right. My work is the same as yours. It’s to find joy and ease and grace now, not when you would achieve the thing that you desire. In the free video series, I give three tips that I think are really gonna help you work through is peace. It’s really about, A, you have to learn to nourish yourself. 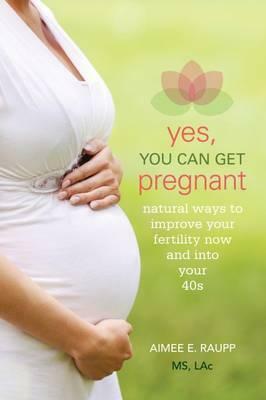 You have to learn to take care of you and remember that your fertility is an extension of your health, right? So if you’re not working on your health, if you’re not working on your nutrition and your physical and your emotion, those three things make up your health. If you’re not working on those things every day, it might be harder for you. If you keep trying the same over and over again, expecting different results, it might now be working. You might need to think outside the box. You might need to hire a fertility detective like me, that’s what I do. I love to be the fertility detective. I love to look under every single rock, from the emotional, from the nutritional, from the physical perspective to help you figure out, why is it so hard for you. It shouldn’t be that hard. Your body is made to do this. I can’t tell you how many times I see it where, yeah, I have girls that are doing the diet, they’re doing the supplements, they’ve done my program, they’ve done Mark [Slars 00:09:00] program and Nat Kringoudis’ program, and they’ve done them all. Then Nicole Jardim’s program, Alisa Vitti, right? We’ve done ’em, we’ve done all the programs, still not working, still not pregnant. What’s wrong with me? Why is everybody else pregnant? We gotta look at the emotional piece then. We gotta look at where you still block in yourself emotionally. What is the story you’re telling yourself on a daily basis and how can we begin to shift it? I do free consults on Thursday mornings and they’re booked up I think a year in advance, which is beautiful. But I had one this morning, they’re all beautiful women and I love them all, and this one woman, they were trying. She’s 42, they’ve been trying for three years and she’s doing the diet and she’s doing the stuffs and what’s working, what’s not working, and her husband’s sperm isn’t great, and what else can she do? She really just read my book, Yes, You Can Get Pregnant, and really just kind of started committing to the diet and she’s shifting some things in her lifestyle. So I generally felt like she was really on the right track and just this piece of like, it’s the frequency and consistency then. You just need to kind of stay the course now. You’ve got the regiment down … Sorry Instagram, sorry Instagram, my phone is telling me, I’ve reached my maximum on the social media today, but that’s ’cause of my Facebook Live. It always does that on Thursdays, so anyway. Yeah, I was telling her like, “I feel like you’re doing all the right stuff. You’re taking the right supplements, you’re diet.” She’s adjusted her lifestyle, she’s gained a couple pounds, she’s working out a little less, but she was exercising too much. I think a little too skinny. And so, now it’s about … Like and her husband’s following his protocol and he’s on diets and supplements, and he’s getting acupuncture and so is she, so they’re doing all the right stuff. So now it’s this piece that is the hardest piece I think for anything you want in life, whether it’s a baby or relationship or a career change or more abundance in your life, more joy; the hardest piece to work on is that surrender thing. Surrender does not mean to give up, it means to let go. It means to trust. It means to say to yourself, “Okay, I’m doing my job. I’m showing up for myself everyday. I am doing the things and now I get to trust. 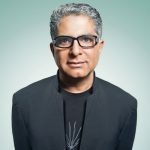 I also get to realize that this isn’t always on my time, but there’s … ” Whatever you believe in, there’s a divinity involved in here. There’s divine timing that comes into play, and so now is the place where you get to sit back and feel at peace and at ease that you have checked all the boxes. You are taking the methylfolate, you are doing the liver pills, you aren’t eating gluten and you’re avoiding soy, and you’re eating a ton of protein and fat and vegetables. And you are meditating and you are journaling and you are taking care of yourself. And, in all that too, you’re trying to find some joy, you’re trying to find some ease, some relief, some peace. There’s gotta be something to the fact that when women say, “I give up. I just can’t do it anymore. I think we’re just going to adopt or we’re gonna get a surrogate. I just, I can’t.” And then they get pregnant. I’ve seen it in my clinic too many times to not think that there is something to the fact that that surrender, that peace, that like “Somehow, someway, I’m gonna get this baby, but I just gotta get out of my own way. I am just …” I see it. I do it to myself. I can do it in my relationship, where I just can get in the way. Get out of the way. Hand it over. You have done your work. My coach that I’ve been working with, Nic Brough. You guys should follow him on social media. He’s incredible and awesome. He had me do it, it’s an Abraham Hicks tactic. I know it, but it’s always nice to be told to do something. He had me make a list, divide it, the things that I need to take care of and the things I need to hand over to the universe or God, divinity, spirit, whatever you believe in. So here’s my stuff. I’m gonna make sure I nourish myself everyday, I’m gonna make sure I meditate, I’m gonna get my exercise in, I’m gonna do things that bring me joy. And the other stuff, the stuff that I really, really, really want but can’t seem to make happen, I gotta hand that over. I gave tasks to the universe, to God, to the divine, to spirit. That’s your job. I’m gonna stay here in my alignment and I’m gonna do the things that make me feel good, that make me feel supported, that make me feel like I’m showing up for me, and the rest is up to you, meaning … that bit of magic. When it comes to getting pregnant, there is this little bit of magic that no one has figured out. Nope, not the best fertility doctor in the world, not the best alternative, natural fertility doctor in the world, no one has figured that piece out. It’s called magic. It’s called divinity. It’s called something beyond us, okay. And so, when it feels like it’s so hard for you, ask yourself, A, how does this serve me? How is this belief serving me? It’s actually making me feel worse about myself. It’s making me feel worse about the subject matter. And then also noticing that when I look at a pregnant person on the street or another person’s Facebook notification that they’re pregnant, and you just feel really crappy about your self because you’re like, “Oh, there’s another person that it was just so easy for.” A, you don’t know what they’re path was, you don’t if it was easy or not. Don’t judge. Just like you don’t want people to judge you or make assumptions about you, don’t you do it about them. That’s not fair. You’re job is to know, with certainty that you will get there and then you do the things that feel right for you on the path. You line up. Luck is when opportunity and the situation meet, right, so it’s … I’m screwing that quote up, but basically … Oh, opportunity and preparedness, luck is when opportunity and preparedness meet. So what are you doing to remain prepared? And then let the opportunity come. You can’t force the opportunity. So if you wanna go deeper on this conversation with me, head over to Aimee Raupp.com/why and sign up for the free video series and let me teach you what I think are the three most critical steps to begin to shift this conversation, “Why is getting pregnant so easy for everyone else?” And then there are three more videos as a part of that video series that are gonna help you with the emotional piece, help you free yourself from the emotional burden. Because if you’re like many of the girls that I’ve worked with, they’re doing all the stuff, they’ve met with the experts, they’re on the right supplements, they’re doing the right diet, they’re doing the meditation and the journaling; there’s still this emotional block where there’s too much control, there’s not enough surrender. It’s easy for me to sit here and say that, of course it is, but remember, I have things in my life that I want desperately too and what I’m learning is I’ve gotta let go, I’ve got to surrender. It’s not on my time. I’ve gotta trust. What my job is, is to stay in that preparedness space and wait for the opportunity to come. To stay in that peace, to stay in that joy, to stay in that love for myself, to nourish myself, and to put my joy and my peace and my ease first on the list, not last. So, with that, I’m gonna wrap up because I want you guys to go check out the video series, that’s the best part of today’s Facebook Live, that is what I want you guys to check out. Instagram, the link may or may not be in my bio out at this second, so go over to AimeeRaupp.com/why. I promise if you guys are watching this later, then when it was live today at 12:30 Eastern time, the link will be in my bio very shortly. Facebook, you guys have the link. We’ve posted it. Go there, sign up for the free video series. It launches on the 27th, and yeah, we all could use more work in this space. Alright, I love you guys. Have a wonderful day.